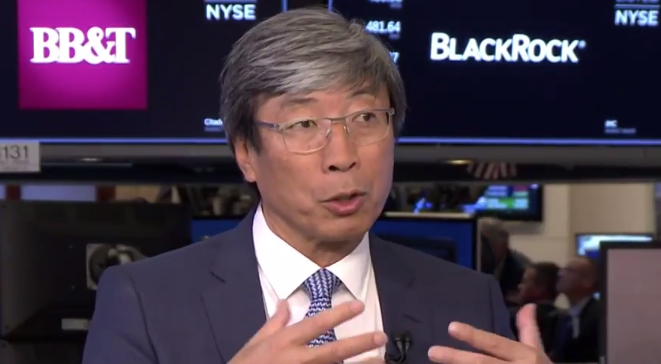 The billionaire owner of the Los Angeles Times, Patrick Soon-Shiong, says that social media is the cancer of our times and a form of metastasis of news. He particularly slammed Facebook, calling it “fake news.” He also wants to embed more technology into the news business in the form of cloud computing, AI, and predictive modeling in order to make the news product more compelling to the consumer. He also believes fervently that the subscription model must replace the free model prevalent on the internet today in order to make the news industry sustainable. I don’t see the newspaper industry as philanthropic at all. I think it’s essential that it’s sustainable and not as a newspaper but as a news media. I see this as journalism doing incredibly important stories, and that’s basically storytelling. How we publish these stories, whether it be a podcast, digital, video, over-the-top, or newspaper is where we need to go as an industry. We need to take cloud computing, artificial intelligence, predictive modeling to create something of value to you, not from an advertising model but as an educational inspirational model. The opportunity to inspire, educate and inform is where I see our newspaper going. It has to be a subscription model by the way. I think it’s either an unintended or an intended consequence of advertising. If you look at Facebook, it’s an advertising facing organization which then really cannot differentiate from the so-called fake news, opinion news, and real news. This short attention span that we’re now creating within this millennium is actually very dangerous. It’s an unintended consequence of social media and it’s a cancer of our times and social media is the form of metastasis of news. We need to change that paradigm.